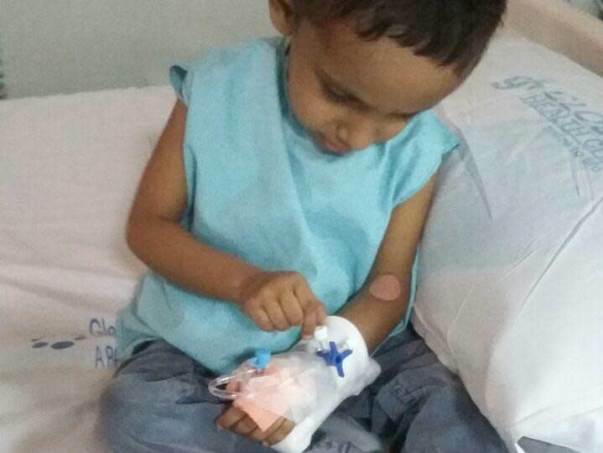 3-year-old baby Addul Samad, son of Mohammed Saif, was diagnosed with a severe ailment. 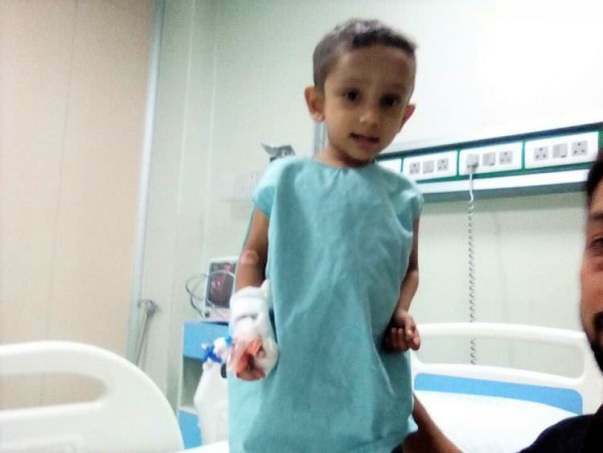 He has been diagnosed with end-stage liver failure which needs to be treated on an urgent basis in order to save Abdul's life. 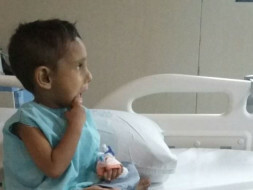 He has been advised by the doctor to undergo a liver transplant in order to survive. 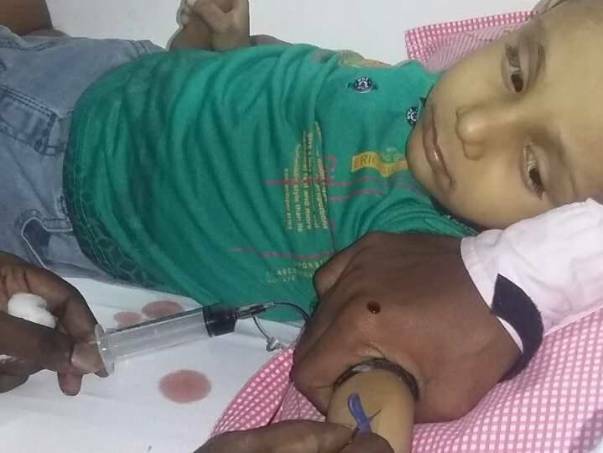 He has been suffering from a painful liver condition right from birth. Although his parents tried everything to save him, it has gotten worse. Now, only a liver transplant can cure his disease and keep him alive. My son has not slept in weeks and his cries keep us up all night. I cannot remember the last time he slept without sedatives. He itches continuously until he bleeds. It is so difficult for us. We sleep for 3-4 hours every day and now we are also falling sick. Mohammed is a salesperson at a small shop earning Rs. 8000/month to feed a family of 6 including his wife, two children and elderly parents. He has already spent over Rs. 5 lakhs on Abdul’s treatment after borrowing from relatives, friends and with a little help from the Delhi government. Now, in Chennai, he is unable to source funds for Abdul’s liver transplant which is estimated to cost Rs. 22 Lakhs. 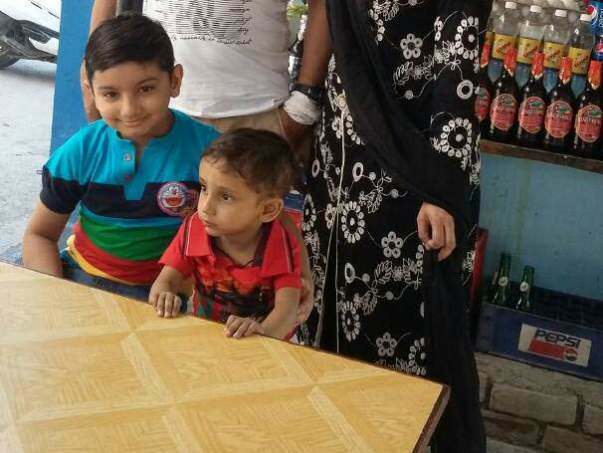 Your contribution can save Abdul's life. Abdul is not doing very well right now. He is on regular medication. He is undergoing his treatment and the doctors will let us know when can they schedule the transplant. We will keep you all posted. Here is a quick update on Abdul Samad's health. Currently, Abdul is at home and doing fine. 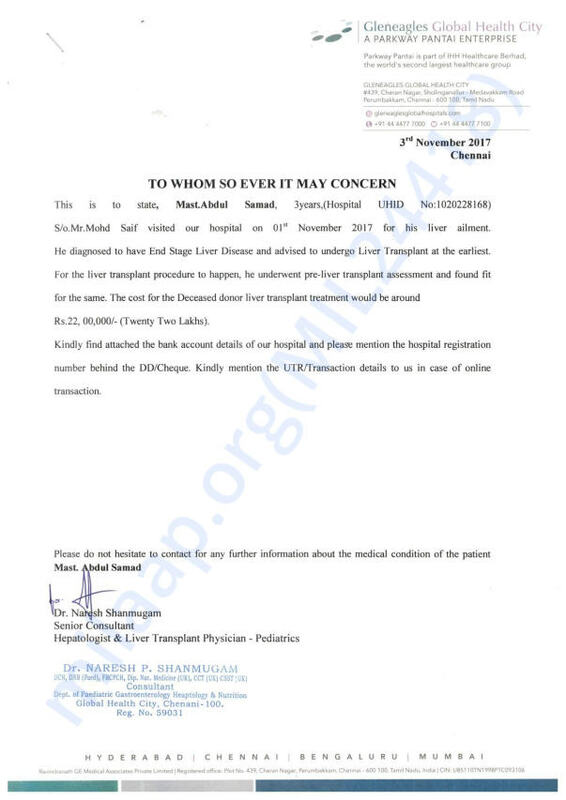 The transplant has been postponed with one more week as his father (donor) was down with fever. The family will visit the hospital as and when his father has recovered. Abdul is in stable condition and has responded well to the treatment. He will undergo the transplant by end of this week. Please pray for his health!